Parents whose child care needs aren’t met are more likely to have higher absenteeism and tardiness issues, both of which effect company productivity. Child care resource and referral services save parents an average of 16 hours per child care search, 80% of which would have been spent during work hours (Working Woman, 1996). 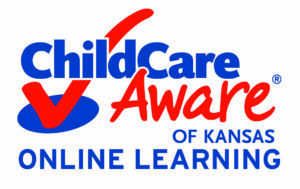 Child Care Aware® of Kansas is here to assist business with efforts to support employees by providing resources that help parents find reliable, high-quality child care. Copyright © Child Care Aware® of Kansas. KACCRRA d/b/a Child Care Aware® of Kansas is a qualified 501(c)(3) tax-exempt organization.